Kittilä is a municipality of Finland and a popular holiday resort.It is located in northern Finland north of the Arctic Circle within the Lapland region. Kick off your visit on the 5th (Mon): make a trip to LUVATTUMAA - Levi Ice Gallery, then make a trip to Giewont Husky Adventures, and then get outside with Seven Fells Up. Here are some ideas for day two: look for gifts at Elan Ski Shop & Rental, take a stroll through Ounasjoki - River for activities, and then surround yourself with nature on a nature and wildlife tour. To find maps, photos, where to stay, and more tourist information, use the Kittila travel route builder site . Nis, Serbia to Kittila is an approximately 15-hour flight. You can also drive. Due to the time zone difference, you'll lose 1 hour traveling from Nis to Kittila. Expect much colder weather when traveling from Nis in August: highs in Kittila hover around 19°C, while lows dip to 9°C. Wrap up your sightseeing on the 6th (Tue) to allow time to drive to Inari. 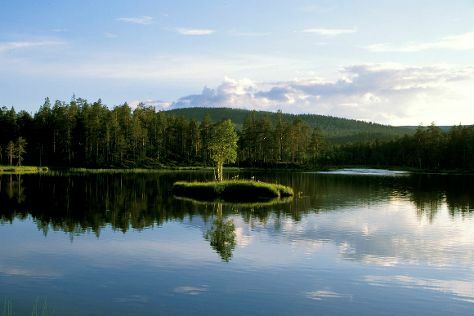 Start off your visit on the 7th (Wed): get outside with Lake Inari and then go for a walk through Otsamo Fell. On the 8th (Thu), you'll have a packed day of sightseeing: get into the urban bustle at The Sami Cultural Centre Sajos, then get a dose of the wild on a nature and wildlife tour, and then take in the architecture and atmosphere at Pielpajarvi Wilderness Church. To see maps, photos, ratings, and more tourist information, you can read our Inari driving holiday planner . Getting from Kittila to Inari by car takes about 3.5 hours. Other options: take a bus; or take a bus. August in Inari sees daily highs of 19°C and lows of 9°C at night. Finish your sightseeing early on the 8th (Thu) so you can travel to Salla. Salla is a municipality of Finland, located in Lapland. 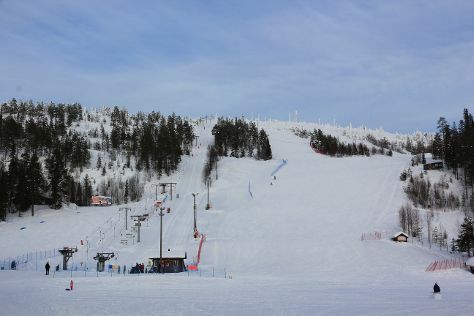 On the 9th (Fri), hit the slopes at Salla Ski Resort, see the interesting displays at Salla Museum of War & Reconstruction, and then steep yourself in history at Paikanselan Taistelualue. For where to stay, ratings, maps, and tourist information, read Salla driving holiday website . Traveling by car from Inari to Salla takes 4.5 hours. In August, plan for daily highs up to 19°C, and evening lows to 10°C. 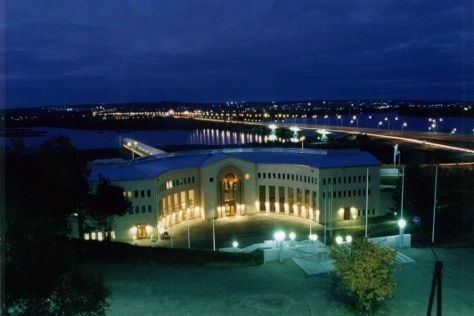 Wrap up your sightseeing on the 9th (Fri) early enough to travel to Rovaniemi. Kick off your visit on the 10th (Sat): snap pictures at Lumberjack's Candle Bridge, get engrossed in the history at Arktikum, then look for gifts at LAURI, then enjoy some diversion at Santa Claus Office, and finally find something for the whole family at Santa Claus Village. To find photos, reviews, where to stay, and tourist information, use the Rovaniemi day trip planning app . You can drive from Salla to Rovaniemi in 2 hours. Expect a daytime high around 20°C in August, and nighttime lows around 11°C. Wrap up your sightseeing by early afternoon on the 11th (Sun) to allow enough time to travel back home.